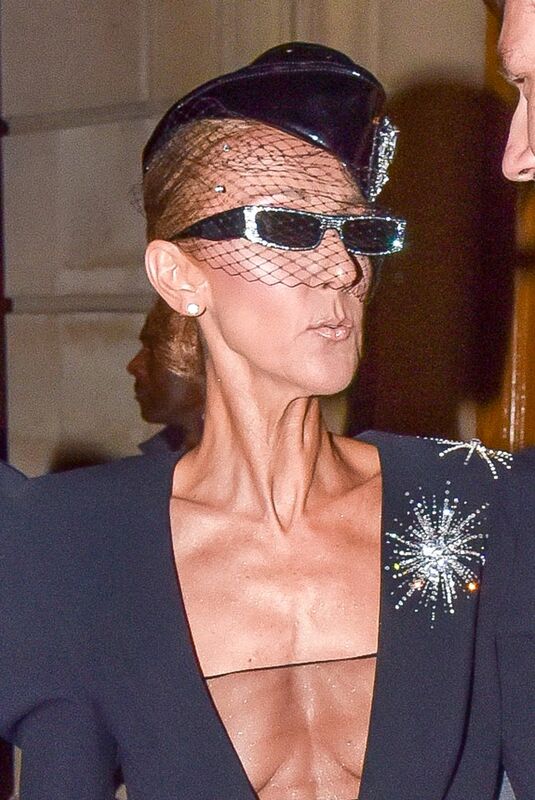 Canadian songstress Celine Dion put on a high-end fashion look work with ease as she arrived for the Alexandre Vauthier Spring/Summer 2019 Paris Haute Couture Fashion Show. The 50 year old, whose stage fashion is as fleek as her red carpet style, looked super stylish and fashionable in a plunging creation. Channeling a modern and glam flight attendant, Celine Dior opted for a sophisticated jumpsuit from the latest Alexandre Vauthier collection that was on the runway, and paired it with a sheer bandeau bra. With shimmering stars embellished on the shoulders and structured exaggerated shoulder pads, Celine stole the show effortlessly. Wearing a black garrison cap, Jimmy Choo 'Blaze' leather booties and embellished micro sunglasses from the Alain Mikli x Aexandre Vauthier SS2019 Eyewear Collection, the singer was an image of poise and elegance, and took over the FROW sensationally.